Phenacite pendent wrapped with silver wire. As these are natural products stones vary in shape and finish, all pieces are 1.5cm in size approx. 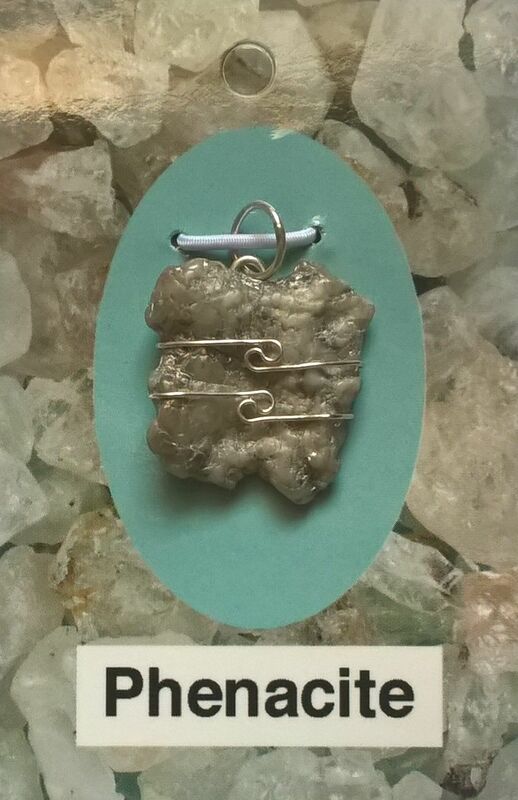 The metaphysical properties of Phenacite have come from people’s intuition. You must use your own discrimination as to what is right and appropriate for you and your awareness.